Amanda is a corporate strategist with a demonstrated ability to galvanise teams and drive compelling organisational change. She has led several CBRE divisions to great success in the Pacific region. Amanda joined CBRE in 2013 after 14 years working in the sustainability space. 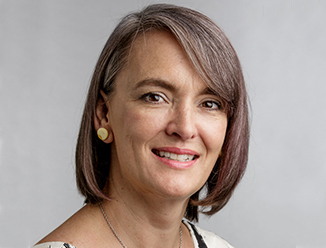 Between 2013 and 2015, Amanda was CBRE’s Pacific Head of Sustainability, before assuming the senior leadership role to manage one of the company’s biggest business lines, its Asset Services division in Pacific. Over three years, she doubled the growth of this business and delivered significant client outcomes via her innovative, creative and people-focused approach. In October 2018, Amanda was promoted to Executive Managing Director of CBRE’s largest geography in the Pacific region – its New South Wales business, consisting of more than 1,000 employees across four offices. She has worked with the highest levels of government nationally and internationally, as well as alongside boards and CEOs of many organisations. Amanda is an active volunteer with a number of industry and community organisations and thrives on solving persistent problems with integrated solutions. Green Building Council of Australia, Melbourne and Sydney, 2013. “Workplaces of the Future Summit. International Green Awards, Perth, 2012. “The Importance of Defining, Measuring & Reporting the Value Sustainability Delivers”.